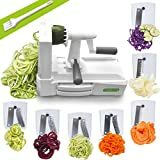 Spiralizer Ultimate 7-blade Vegetable Slicer. This is a device that I have absolutely grown to love. The number one thing I use it for is a veggie based alternative to carb heavy noodles. The options are endless with this device, and one of the best things is that my kids enjoy eating noodles made with it as well. One of the other great things that can be done with it is creating vegetable based chips. You will have a ton of fun exploring all the different creations that can be made with this one device. Keurig K575 Single Serve K-Cup Pod Coffee Maker. There are two products that I use more than any other, and this is one of them. I am morning person by nature and there is nothing I love more than a nice buttery keto coffee to start my day off right. This model allows for multiple brew sizes, has a strength control setting and has a large color touch screen for ease of use and fresh brewed coffee in under a minute. 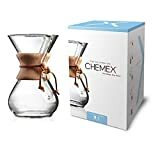 Chemex Classic Series, Pour-over Glass Coffeemaker. For those of you that enjoy putting a little more time and care into your coffee ritual, this is the product for you. Even though it takes a bit more effort, you will definitely notice the difference in the quality of the flavor. If you have never used a Chemex the simple way to explain the process is as follows: boil some water, grind up the beans, put a filter it the neck of the Chemex and fill will the ground beans, pour the hot water over the top. It can take some trial and error to get it exactly the way you like it but in the end the quality is well worth it. 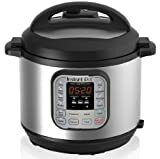 Instant Pot Duo60 6 Qt 7-in-1 Multi-use Programmable Pressure Cooker. The Instant Pot has drawn fame from the amount of different uses it allows. It is a pressure cooker, slow cooker, rice cooker, steamer, sauté, yogurt maker and warmer all in one. I had never used a pressure cooker before and I was amazed from the very first time I used it. The first meal I ever made it in it was a Pot Roast. We normally have our roast cooking in the oven but in the Instant Pot I made a roast in 2 hours and it was fantastic. This is one of the most versatile kitchen appliances I have ever used. Mueller Ultra-stick 500 Watt 9-speed Powerful Immersion Multi-purpose Hand Blender. Besides my coffee maker, this is the other most used tool in my kitchen. I use it every single morning to blend up my butter and oil for my Keto Coffee. You can also use it for heavy cream, re-blending nut butters due to separation, beating eggs, making dressings and many more things. At 500 watts it has plenty of power and is very easy to use. What I love about this blender is the versatility it provides. 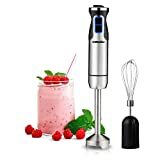 You can easily make smoothies, sauces, purees and so much more. One of my absolute favorite things to make is a clever switch for mashed potatoes. Boil some cauliflower and throw it in the blender with butter, cheese, sour cream and chopped bacon, it’s heaven on a plate. The unit is very easy to clean and you will love experimenting with different flavors and ingredients. Chefsteps Joule Sous Vide, 1100 Watts, White Body, Stainless Steel Cap & Base. If you have never used a sous vide machine you are in for a treat. Sous vide cooking involves heating water and circulating it around the pot to maintain an even temperature. This means that your water will never go over your desired set temperature therefore the meat you are cooking will also cook to that exact temperature and cannot overcook. The amazing thing about this product is that it is Bluetooth and Wi-Fi enabled so that you can set the temperature from your phone, leave it alone and get a perfectly cooked piece of meat every single time.